The book of Exodus, in the Bible, speaks of plagues of frogs, gnats, and locusts (among other epidemics) that God brought against the land of Egypt to force Pharaoh to free the Hebrew slaves. People who have suffered from bug infestations in recent years might understand why a bunch of locusts and gnats would be enough to make Pharaoh relent, at least temporarily. In small numbers, they can be a nuisance. In large numbers, though, they can bring society to a standstill. A bug infestation can cause widespread ecological damage, disrupt economic life, and even cause death. 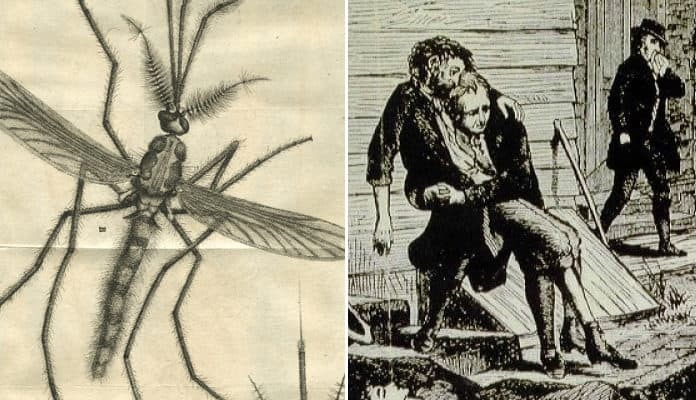 The twentieth and twenty-first centuries saw plagues of snakes, locusts, crickets, grasshoppers, cicadas, moths, caterpillars, giant hornets, and more. Some of them devoured crops or destroyed trees, causing harm to local economies and wildlife. Others caused human and animal deaths as a result of poisonous bites or stings. Some of the swarms were so intense that they could actually be seen by weather satellites floating above the earth’s atmosphere. Imagine yourself being suddenly surrounded by apocalyptic hordes of snakes or ferocious spiders. Imagine that you are at home and find that an aptly named species, “crazy ants,” have suddenly invaded your home with such intensity that your floor looks like it is moving. Likewise, imagine that you are a farmer and wake up to find that hordes of crickets, grasshoppers, or locusts have eaten all of your crops. Unfortunately, these infestations seem to be happening with more and more frequency, probably as a result of human-made activity. Conditions due to climate change create perfect environments for mosquitoes, grasshoppers, and crickets to appear in ever-increasing numbers. Calling exterminators and using pesticides will not be enough to halt these infestations in the future. They will probably continue to get worse until the conditions associated with climate change are reversed. Until then, we will have to learn to live with the reality of massive bug infestations. Ermine moths are common to tropical areas and part of Europe and are considered to be nothing more than minor pests. They aren’t dangerous, at least not on their own. The caterpillars of ermine moths are known to get together and spin communal webs, particularly after having a meal. Many people see the webs and mistake them for spider webs, so they quickly back away. After all, who wants to get trapped in a spider web in a manner akin to what Frodo had to endure in Lord of the Rings or what Harry and Ron had to escape in Harry Potter and the Chamber of Secrets? Throughout Europe, the moths occasionally gather in large enough clusters to make particularly spectacular webs. Some of their webbed “victims” have included entire trees and hedges and even a parked car! While the ermine moth itself is a beautiful, delicate looking moth, there is no joke about stumbling upon webs that looks like they could have come straight out of Shelob’s Lair.